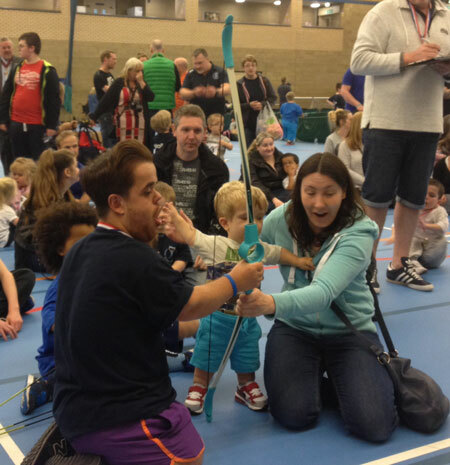 Bank Holiday weekend hosted the 22nd National Dwarf Games 2015. What a fabulous National event the members of the DSAuk held over the May Day bank holiday weekend. There were a record number of athletes taking part in 2015 with 194 taking part from all four corners of the world. 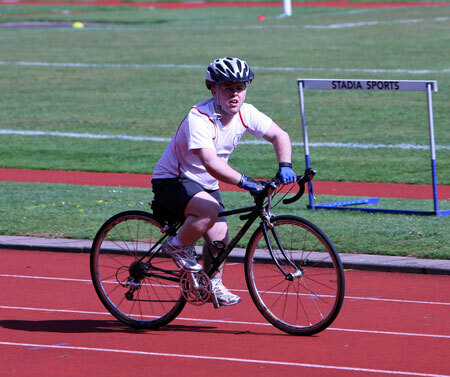 Athletes took part in twelve sports over three days with some fantastic performances watched by capacity crowds. 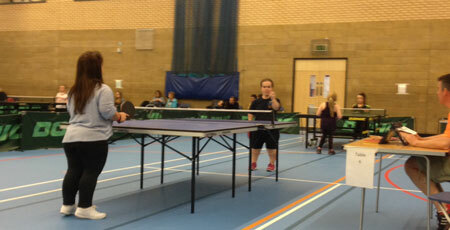 This year the younger athletes had brand new sports to try out and master. 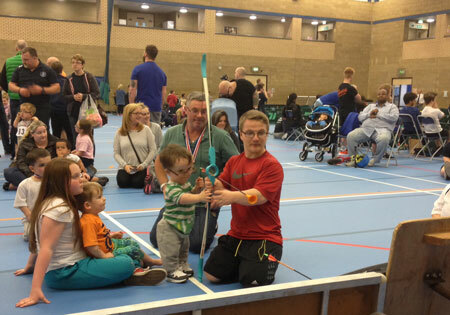 Balance bike racing was added into the cycling event to encourage our youngest members and soft archery was added as a whole new sport for the U11 age group. The senior athletes performed admirably in difficult conditions at the Alexander stadium as the day was cold and the wind was against them in the field athletics and track events, but this didn't dull the athlete's competitive spirit and the day saw some fabulous races on the track and amazing skill in the field events. Many of the athletes have competed in these games for many years and it is brilliant to see how they improve year on year. 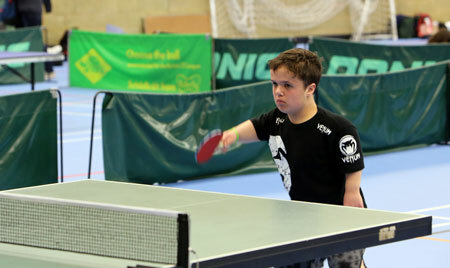 The Sunday is a very busy day as there are eight different sports taking place over one day but everyone seemed to work out where they needed to be and the day ran smoothly. 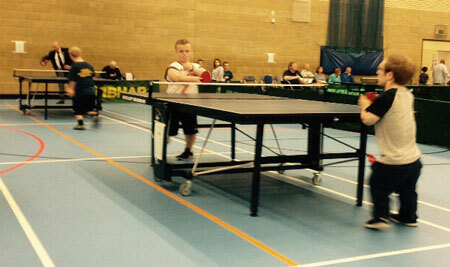 The table tennis was hotly contended in all age groups with a fabulous Silver medal for Jenny Greasley in the master's age group and a well deserved silver for Issac Daglish in his first open age group event. The shooting has become very popular and it was nice to see a few new names on the medal table. Over the last few years the cycling time trial has become more and more popular and on a lovely sunny afternoon the athletes competing in the time trial took on the banked track and produced a very close competition with times that had to been separated by only 100th's of a second. Paul Doling winning the open class this year his first gold in the cycling. 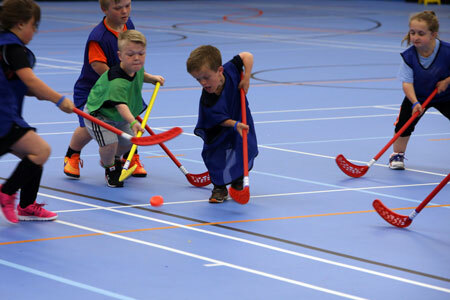 The Basketball and Hockey moved to Sunday in 2015 and both tournaments were very enjoyable to watch and as the next World Dwarf Games will be in the Netherlands the team sports which are always popular on the world stage will need teams developed to participate in this prestigious world event. Bank holiday Monday hosted the DSA's swimming gala for the first time. The gala had a record number of swimmers entered and there were some really close races. Lots of young swimmers took part in the width races and the relays were particularly exciting. The Margaret Scott Trophy was won by Josh Coomer for his performance in the 25m Freestyle. The swimming goes from strength to strength and continues to be a very popular event. The sun shone down on us for the afternoon Football tournament, the standard in both Junior and open age groups was high and holding the tournament outdoors on a 3G astro turf pitch made for one of the best football competitions for some years. 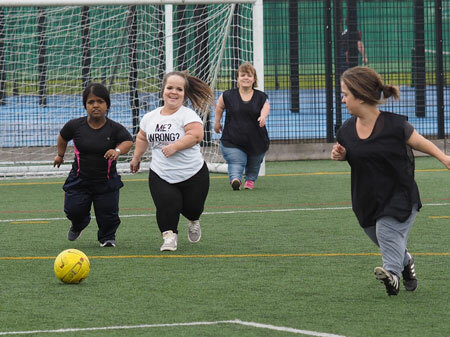 The ladies game was very close again resulting in a 0-0 score line and having to be decided on penalties. With the next World Games coming up in 2017 all the GB teams will be hoping for a good result in the Netherlands. The sun continued to shine on the event while Penny Dean officially closed the event for this year.